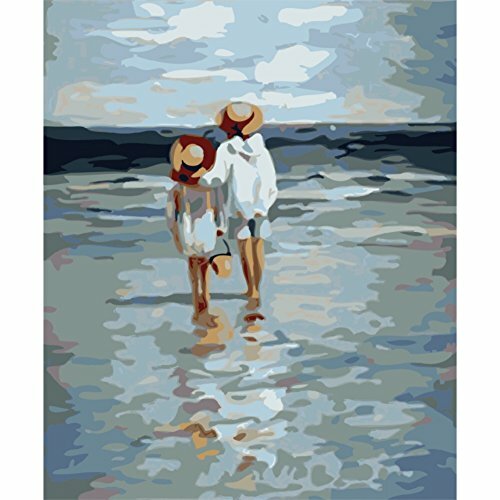 Are you looking for Beach Paint By Number Kits? 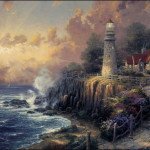 If so, below you’ll find a few paint by number kits of beach scenes that I’ve found that I think you’ll love! In a Hurry? 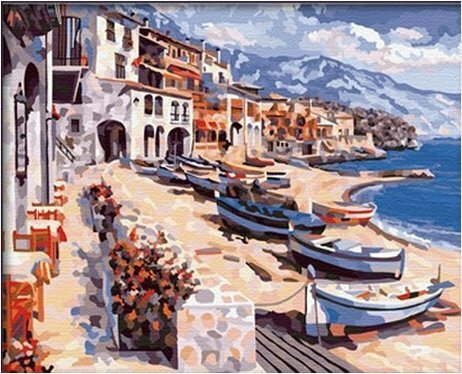 Find an awesome selection of Paint By Number Kits for Beach Scenes for Great Prices! 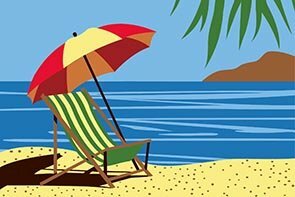 Spring is here and it’s time to start thinking about those lazy days of summer, well maybe not for everyone but needless to say most of us have very fond memories of being at the beach. Someone once asked me what were my most fondest memories as a child. 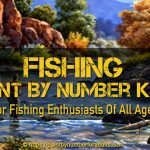 I had quite a few but the one that popped into my mind first were days that our family packed up a big picnic lunch and headed off to the beach for the day. As some of you might already know that I grew up on the prairies and finding a beach was a good 2 hour drive to Lake Winnipeg. 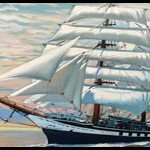 But once you arrived it was pure paradise, miles and miles of white sugar sand beaches surrounded by wind swept sand dunes. 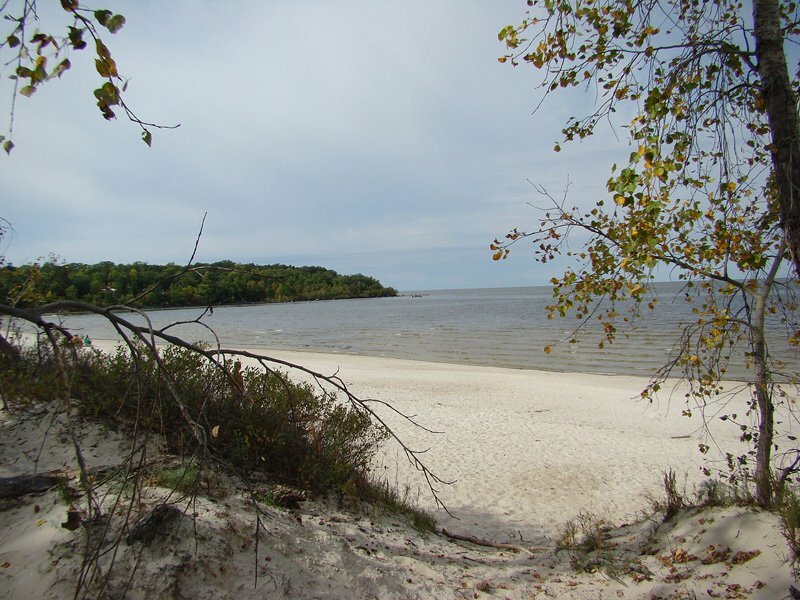 Lake Winnipeg is the sixth-largest fresh-water lake in Canada and is 258 miles long and over 60 miles wide with an average depth of around 39 feet. 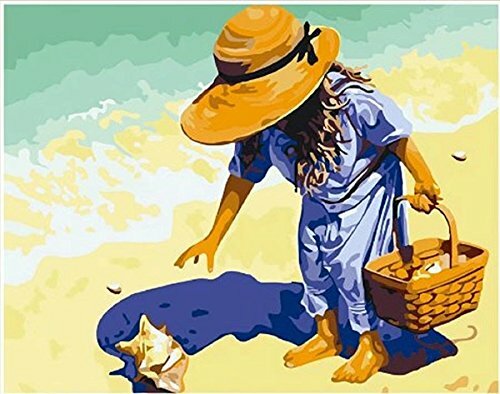 I remember as a child being able to walk atleast what felt like a mile out into the water before I was even waist deep in water. Grand Beach was one of our favorite spots to take our own children on those steamy hot summer days. 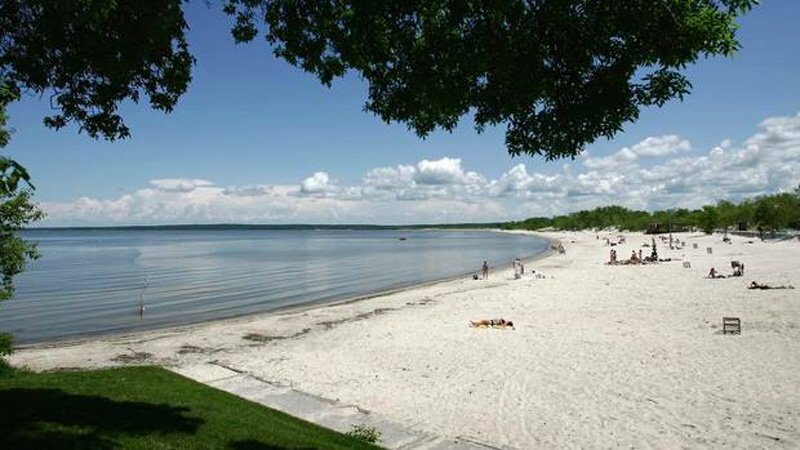 Grand beach is a 2 mile stretch of warm water and powdery sand and only one of the many beaches that makes up the massive shore line of Lake Winnipeg. So this was the beginning of my love affair with wanting to be near the water. 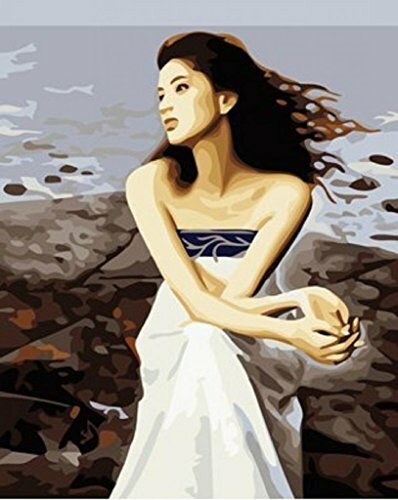 Needless to say many a day I spent sketching and painting while my children built castles in the sand. 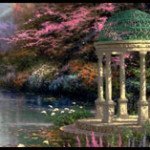 Now my children are grown and have children of there own and I now live near the ocean. 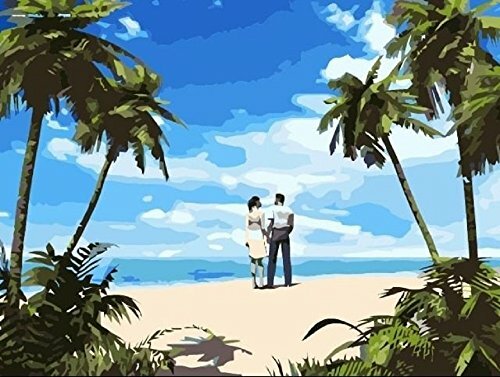 After reminiscing, I thought that finding some paint by number kits of beach scenes would be great for giving you some ideas for filling your own lazy days of summer even if you are unable to make it to the beach yourself. 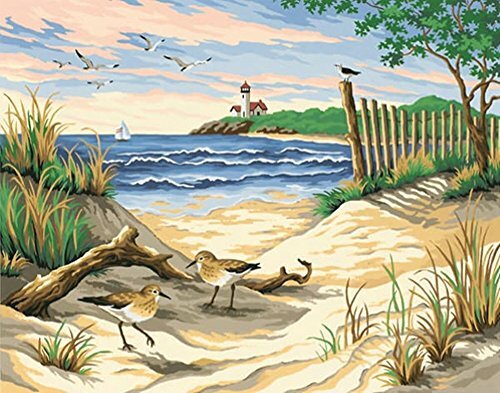 These Beach Paint by number kits will surely help you spend some enjoyable leisurely time on your favorite pastime hobby. 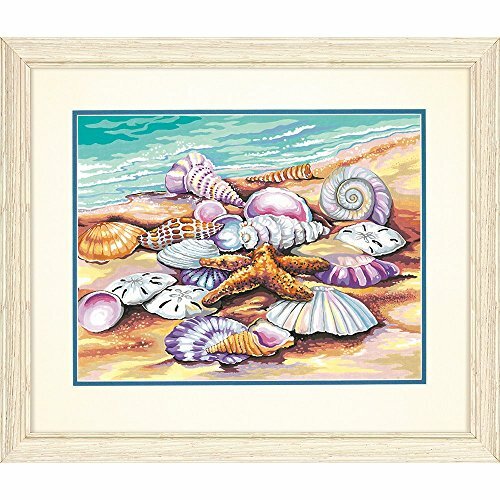 Beauty of the Beach by DIY Painting is a 16 inch by 20 inch pre-printed canvas on frame beach paint by number kit. 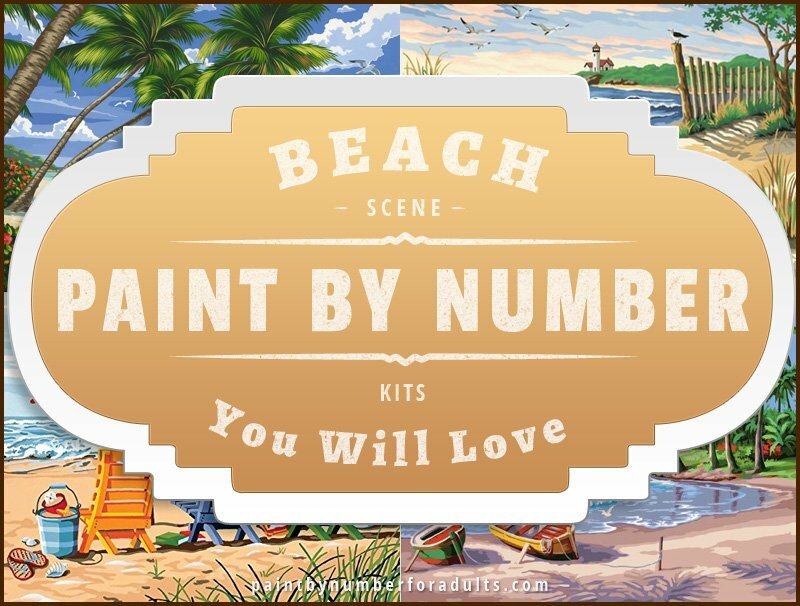 What comes with the Beauty of the Beach paint by number kit? 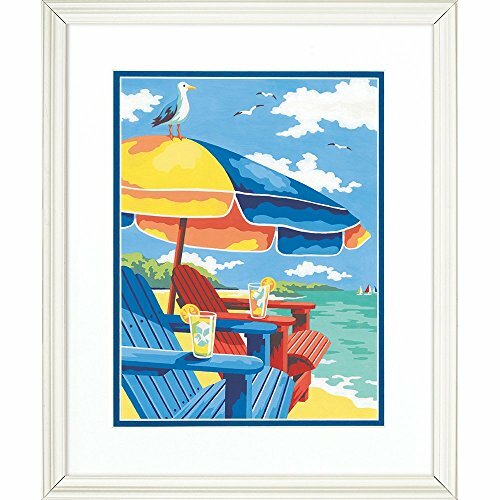 Beach Chair Trio by Dimensions Needlecrafts Paint Works is an 11 inch by 14 inch beach paint by number kit on a printed canvas board that is really popular and has a high rating from customers who have purchased it. 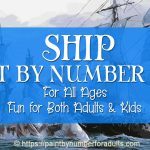 Dimensions Paint Works is a really good company and their paint by number kits are really great quality. 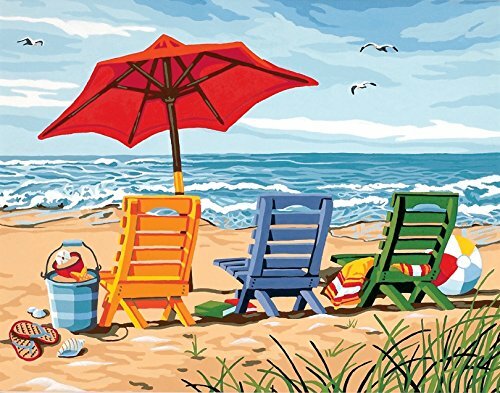 Beach Chair Trio is a a beautiful sophisticated design that has a really good composition. 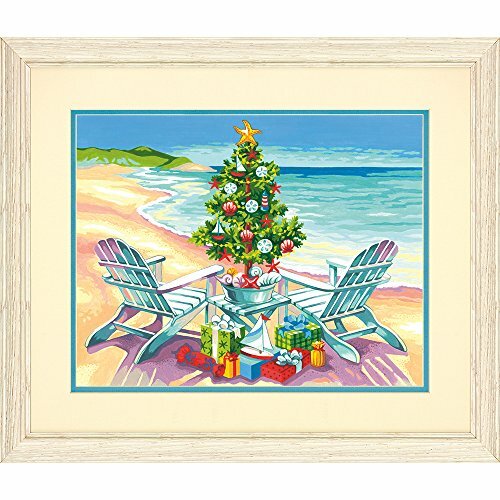 What is included Beach Chair Trio paint by number kit? I also recommend you buy a few more brushes if you would like a really good experience as there is only one supplied in this kit. 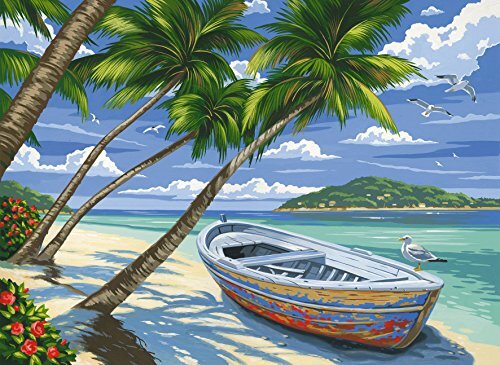 Sunny Beach Paint by number kit is by digital painting is a 16 inch by 20 inch beach paint by number kit that comes that comes on a pre-printed canvas but does not come with a frame to stretch the canvas onto. You will have to order stretcher bar frameswhich are really easy to use. 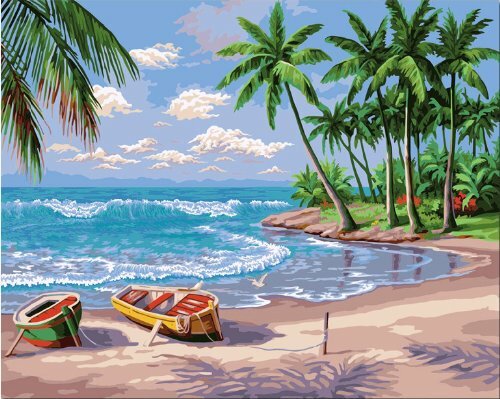 What’s included in this tropical beach paint by number kit? 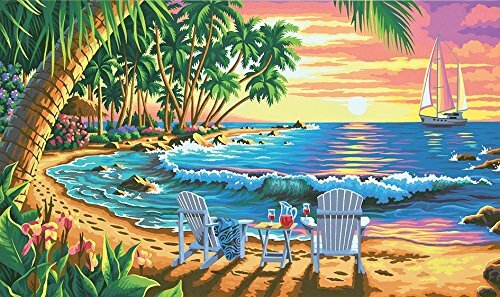 Sunset Beach Paint by Number kit by Dimensions Crafts Paintworks is a 20 inch by 12 inch beautiful tropical beach scene that was designed by Kim Norlien. 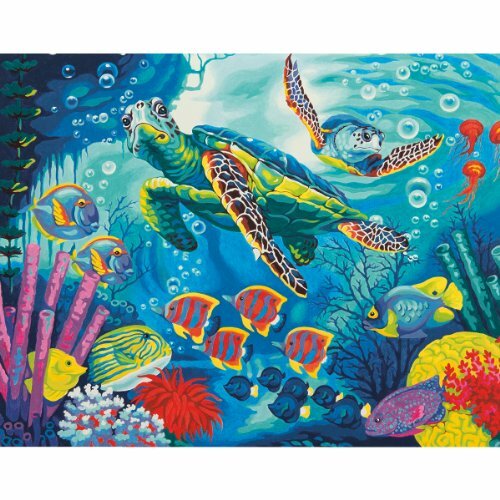 Dimensions Paint Works 73-91528 At the Beach Paint by Number Kit Dimensions Paint Works 73-91526 Shells Paint by Number Kit Dimensions Paint Works Christmas on The Beach Paint-by-number Kit Dimensions Crafts Paintworks Paint by Number Kit, Sunset Beach Diy oil painting, paint by number kit- Sunny Beach 16*20 inch. 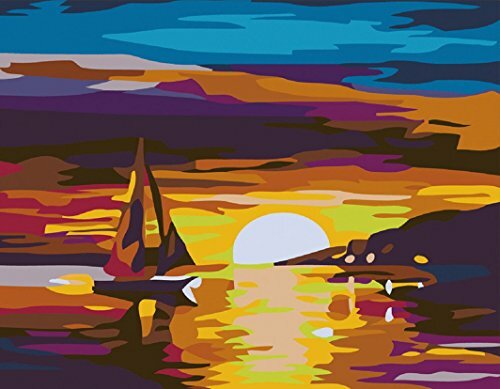 New Paint by Number Kits – Sunset Boat 16×20 inch Frameless – Dimensions Crafts Paintworks Paint by Numbers, Sea Turtles Paint By Number Kits , Sandy Beach without Wooden Frame Diy oil painting, paint by number kit- Sand beach couple 1620 inch.